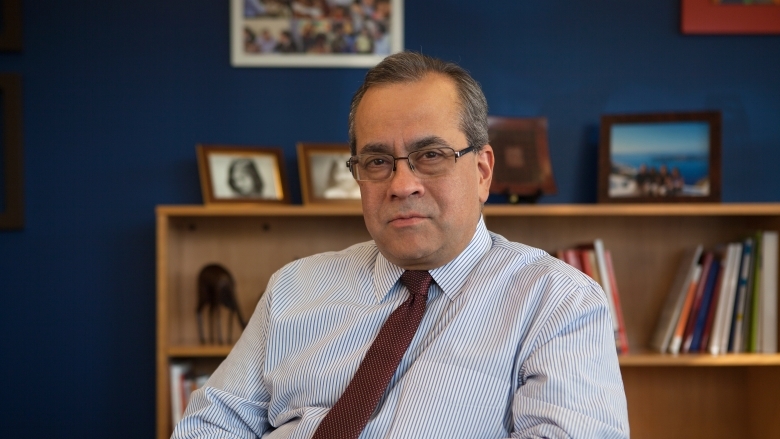 Jaime Saavedra leads the Education Global Practice at the World Bank Group. He rejoined the World Bank Group from the Government of Peru, where he served as Minister of Education from 2013 through 2016. During his tenure, the performance of Peru’s education system improved substantially as measured by international learning assessments. Throughout his career, Mr. Saavedra, a Peruvian national, has led groundbreaking work in the areas of poverty and inequality, employment and labor markets, the economics of education, and monitoring and evaluation systems. He has held positions at a number of international organizations and think-tanks, among them the Inter-American Development Bank, Economic Commission for Latin America and the Caribbean, International Labour Organization, Grupo de Análisis para el Desarollo and the National Council of Labor in Peru. He has also held teaching and research positions in academia and has published extensively. Prior to assuming his role as Minister for Education of Peru, he had a ten year career at the World Bank where, most recently, he served as Director for Poverty Reduction and Equity as well as Acting Vice President, Poverty Reduction & Economic Management Network. Mr. Saavedra holds a Ph.D in economics from Columbia University and a Bachelor's degree in economics from the Catholic University of Peru.